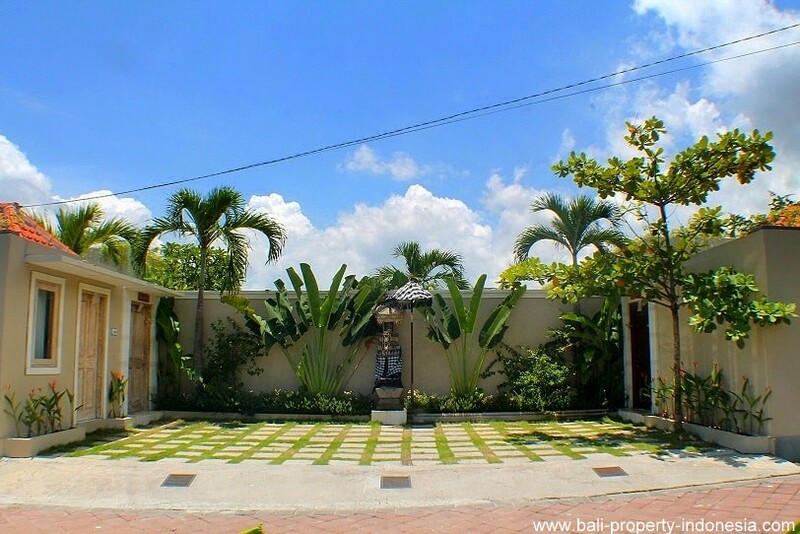 2 Villas on offer for sale in Kerobokan. 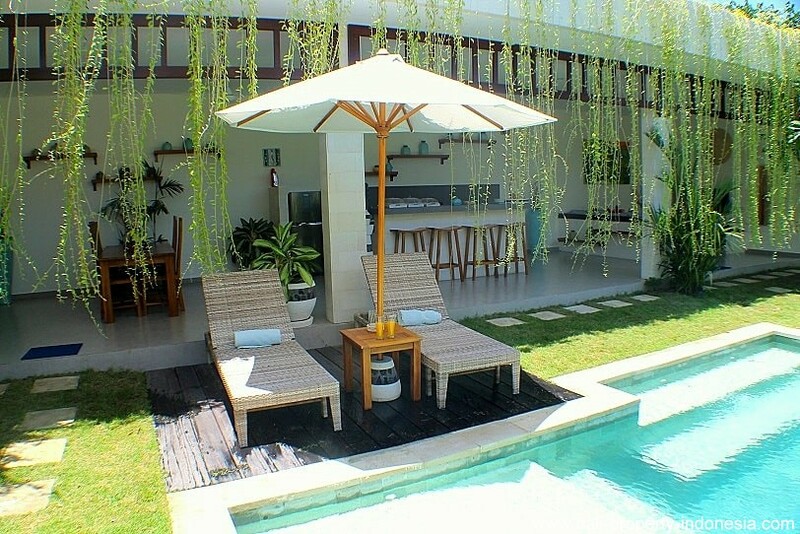 Both villas offer you 3 bedrooms. 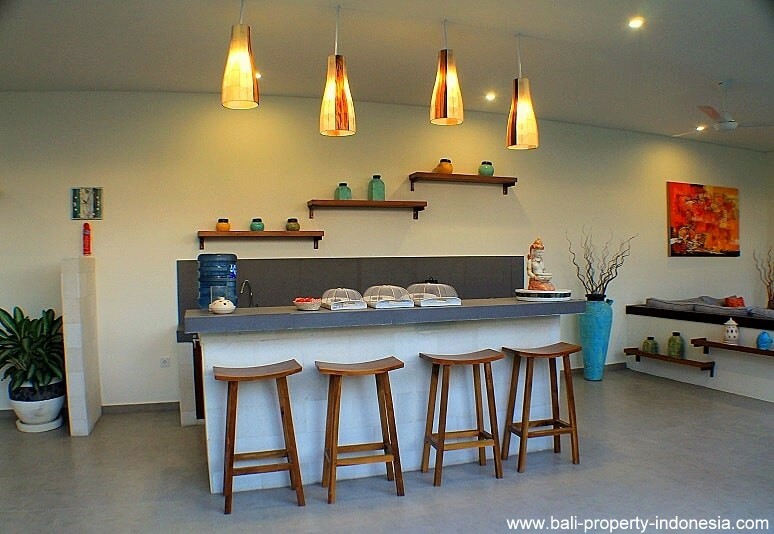 We can offer 2 villas in Kerobokan, built next to each other. 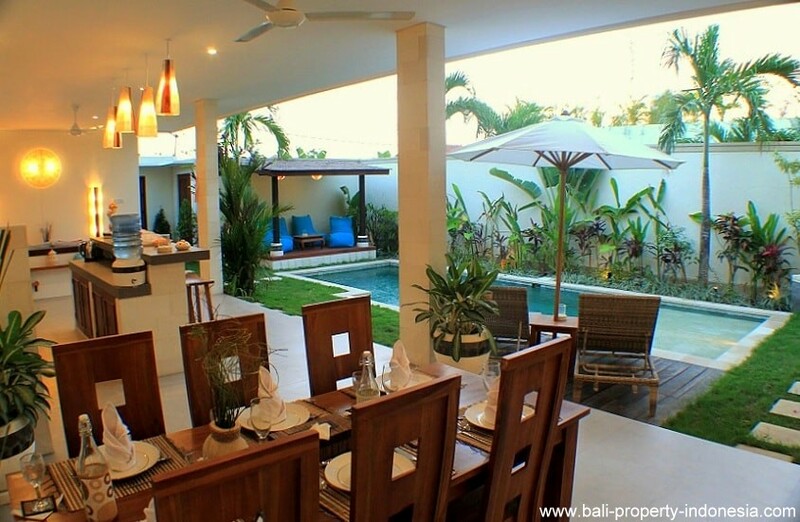 Both villas offer your 3 bedrooms. 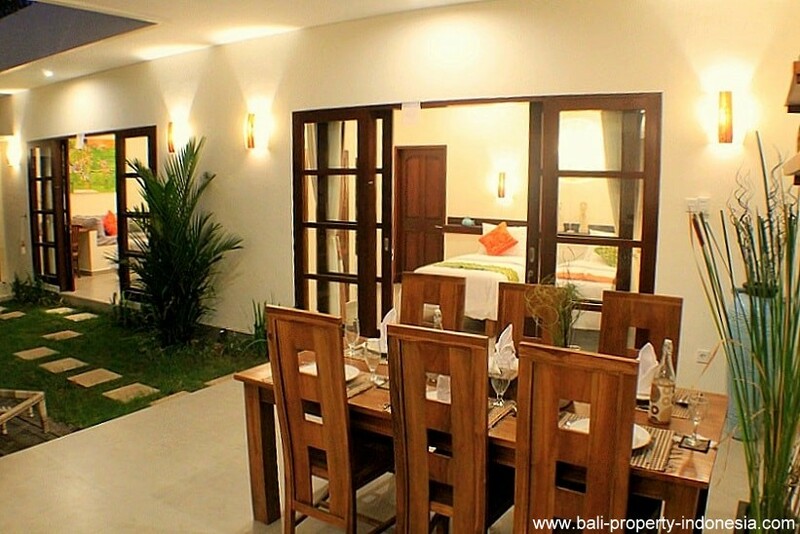 The layout of both villas is almost identical. Let’s start with the large open living. 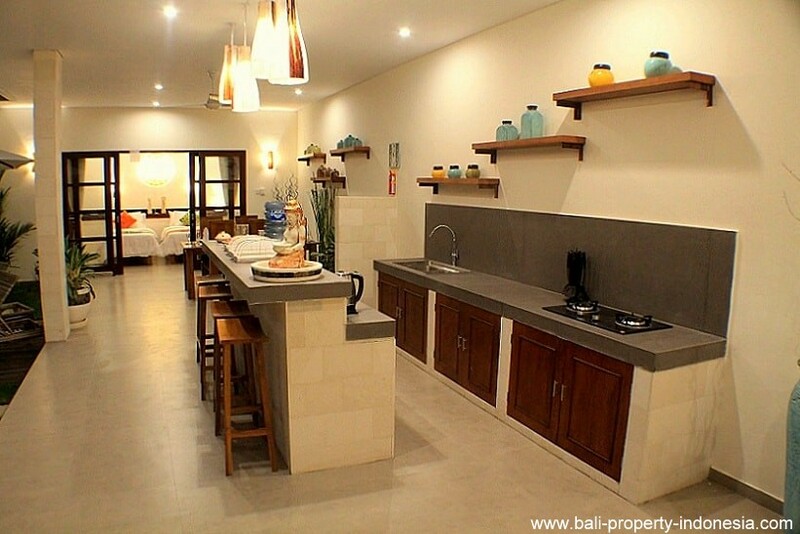 This space consists of the living room, the kitchen with small bar in the center, and a dining area on the other side. 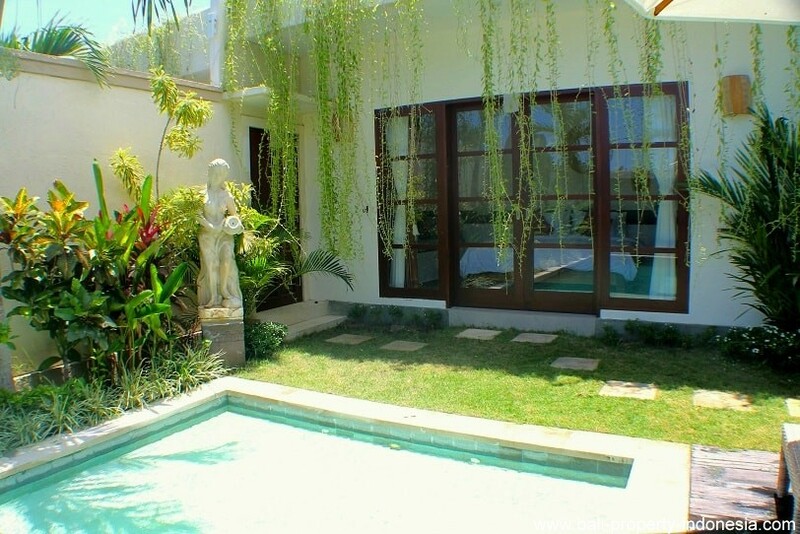 This living is open and faces to the garden and swimming pool. You don’t like open livings? It is easy to close this living space with a large glass wall with sliding doors in it. 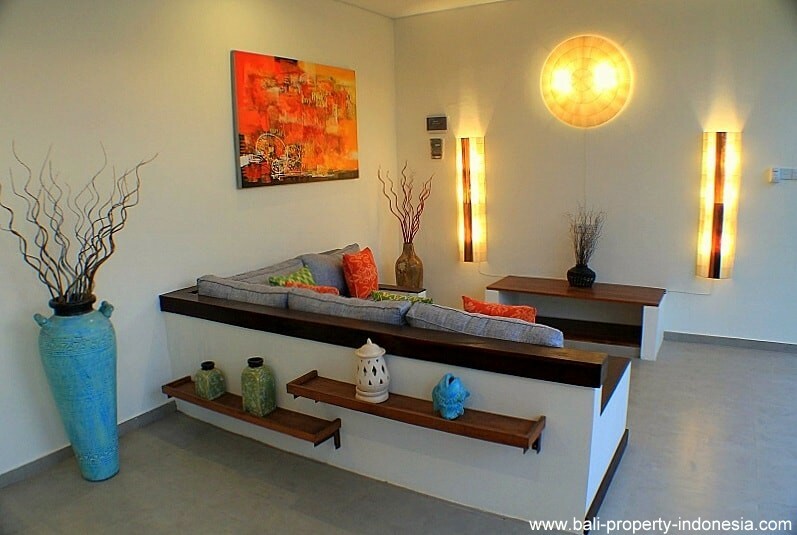 In this case you can add an AC in the living area to keep it cool. 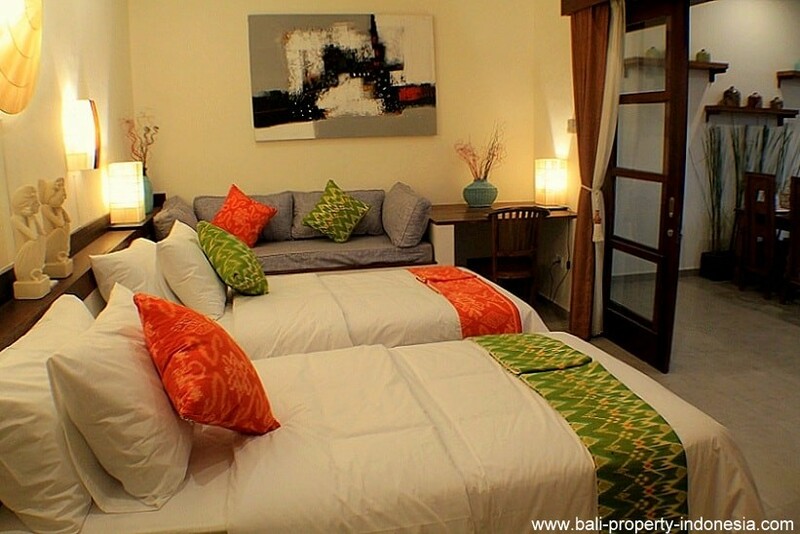 At the far back of the property are 2 bedrooms. 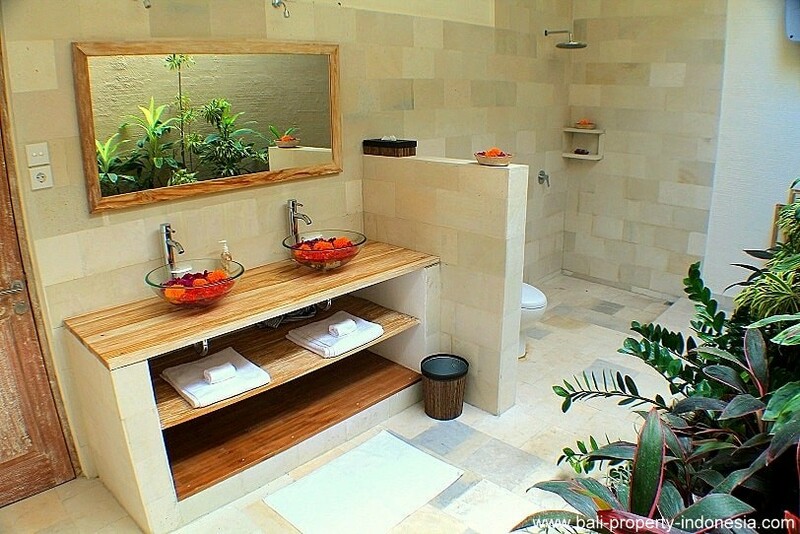 Both bedrooms are having their own partly open bathrooms. 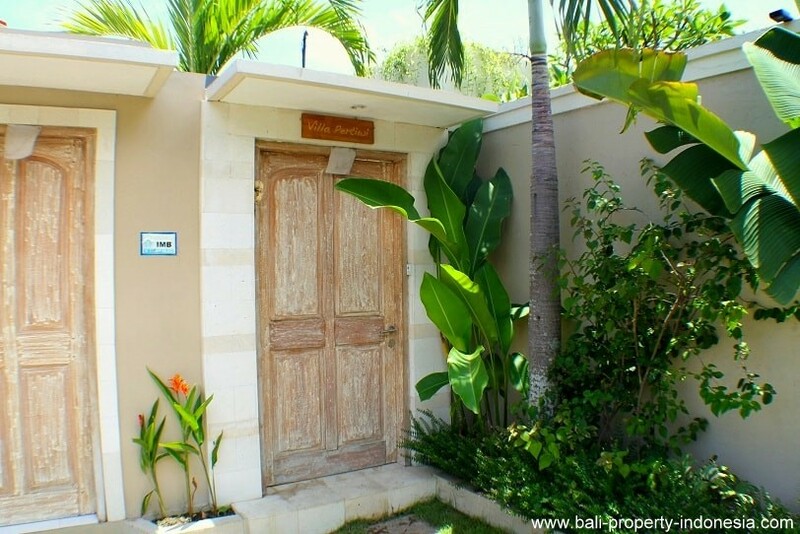 One of the villas is having a 3rd extra bedroom at the entrance of the villa. Also this bedroom is having its own bathroom, however this one is not partly open. 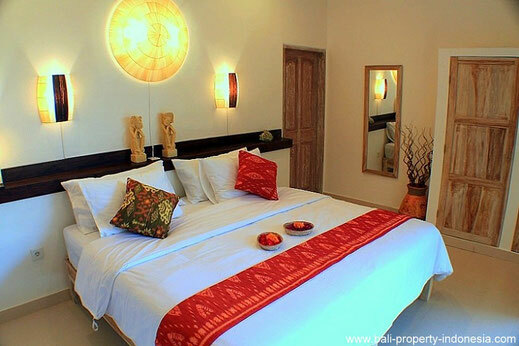 The other villa is not having this extra bedroom. However, in the same rooms is now an office. 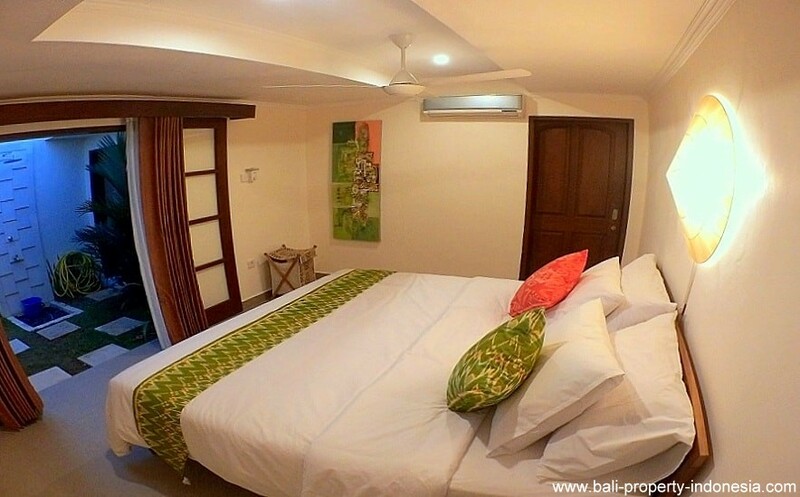 Do you prefer to have also in this villa your 3rd bedroom, then it will be easy to change the layout of this office into a bedroom. 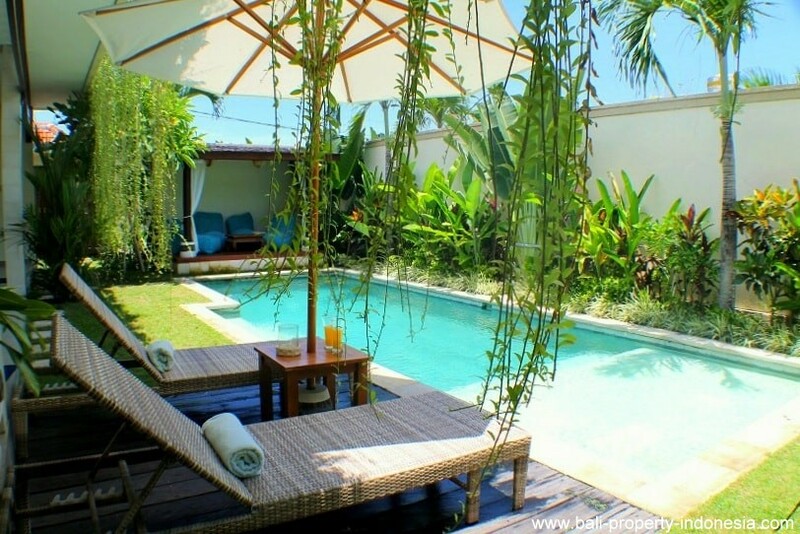 In both gardens you will find a nice swimming pool with a small pool deck next to it. 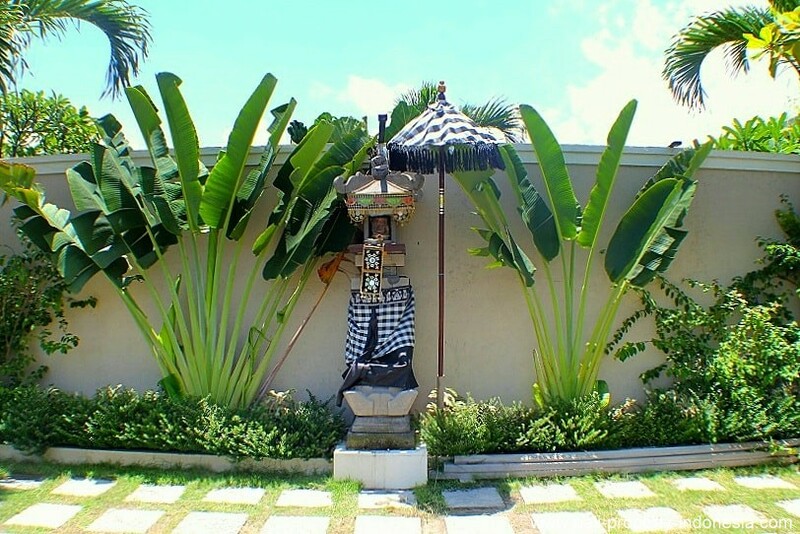 At the end of the swimming pool is a romantic gazebo. A storage room is available. There is a parking for totally 2 cars and some motors. 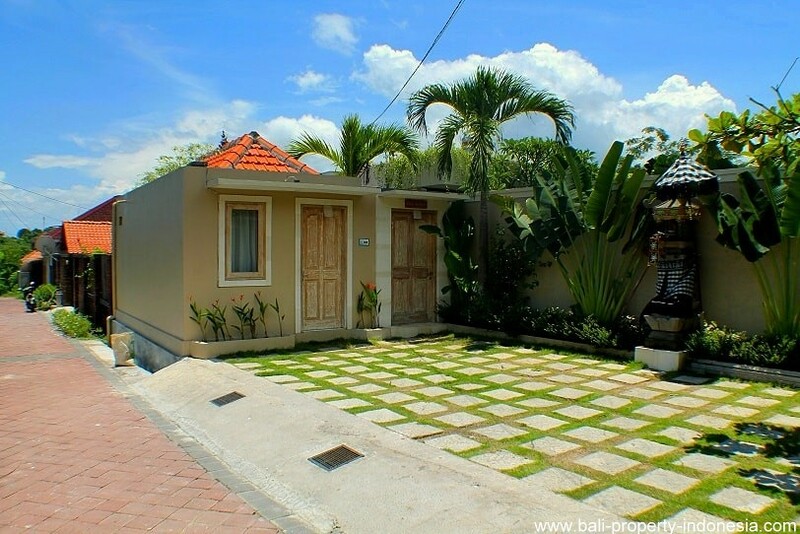 The villas are located in Kerobokan, on the border with Umalas. 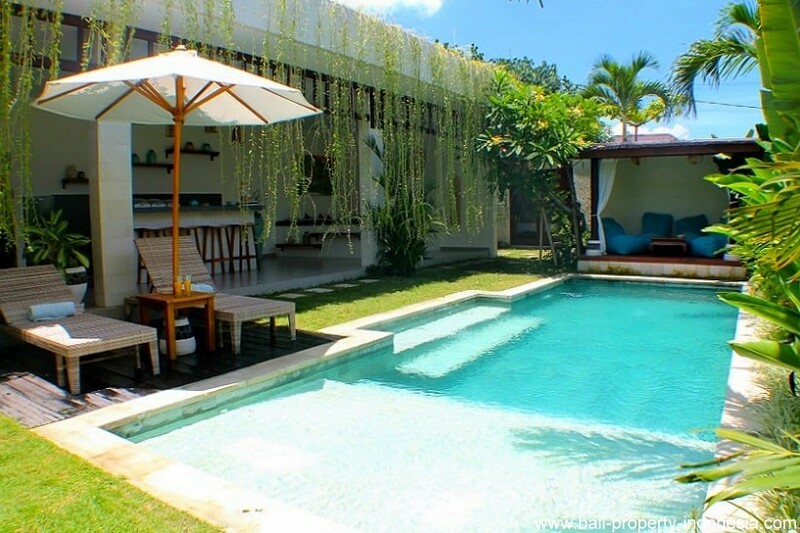 From here you can drive in about 10 to 15 minutes to Seminyak, the Canggu Club and the nearest beach. 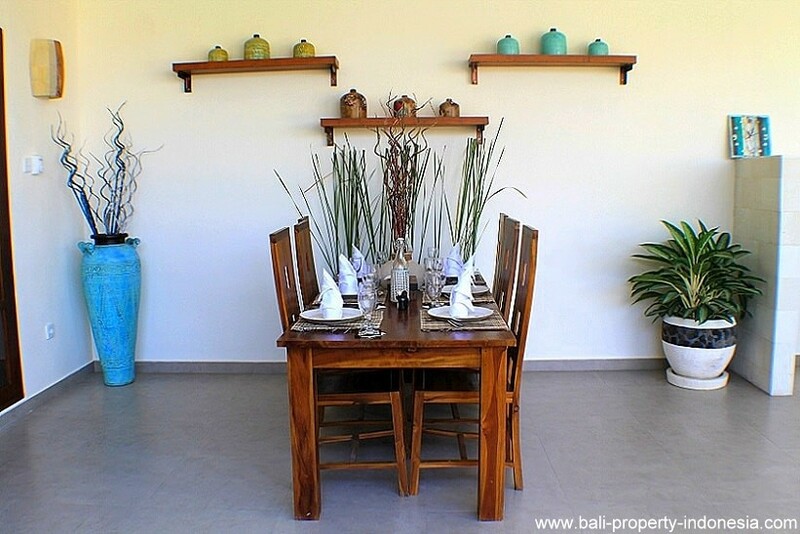 As the villas are situated in a small alley with some more villas, quietness is guaranteed. It is also possible to buy both villas in one deal. 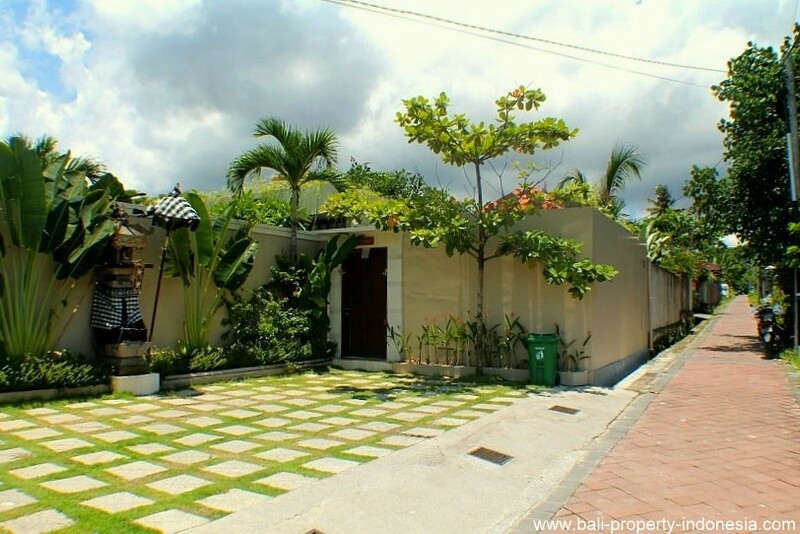 In that case the seller is willing to negotiate about the total price. 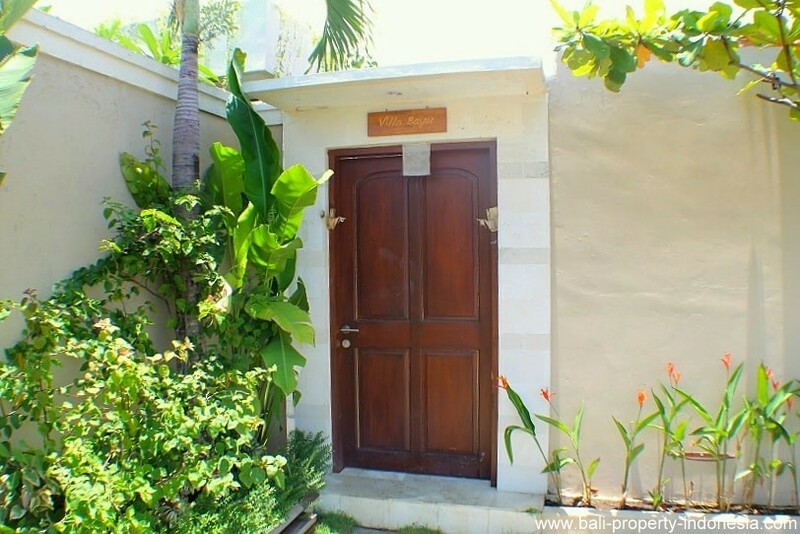 This last option might be interesting for the one who wants to live in one of the villas and renting out the other.